In Singapore, the cost of living has been going up and the game of money has become even more important to master. We believe that in this journey, sharing and discussion on topics relevant to your personal financial well-being can help you get better. This led us to set up Seedly Personal Finance Community with an intention of creating a platform for such purpose. Singaporeans can ask personal and sensitive questions every day on the platform while remaining anonymous. Simply ask a question and receive insights from helpful community members who have “been there, done that”! ” I am currently married in my first year, expecting a baby next month. Our combined savings with my other half is only $4,000. Each of us earns around $2,000 to $2,500. How do I reduce expenses and increase savings as young parents? -A couple aged between 25 to 29 Years Old. Parenthood can be daunting, especially when you just paid off a huge sum for the wedding and are still in debt from your housing loan. All while trying to put your best foot forward in your career. Assuredly, our helpful and experienced members came to the rescue with tons of helpful comments from where to get baby diapers to advice on insurance and vaccinations. The average cost of raising a child in Singapore is $18,000 a year and we know that only increases every year. So, let’s start right from the very beginning! The cost of formula milk products has risen 120% in the past 10 years in Singapore. That explains why most of our Seedly Community members discussion recommended breastfeeding as the option to save money. Breastfeeding has uncountable benefits for the baby’s immune system. Undisrupted by work, breastfeeding during your 4-months maternity leave can also save you a lot of formula milk every month. But, we understand that not every mother can breastfeed. It is also true that the necessary breast pumps, pads and storage bags can cost a lot when the mother starts going back to work again. Purchasing online also offers attractive prices. However, the conclusion we can reach from the above is that taking a trip down to Johor Bahru seems to be the most cost-effective option. If you have doubts about the quality of the products, our advice is to check the labels for the country of origin and examine the conditions of the tins before purchase! Your baby can change up to 6 diapers a day. That adds up to about $2 per day, every day. “Buy the cheapest diaper you can get for your child for DAY diaper – Someone will change the diaper during the day, the infants waste your diapers like no tomorrow. Our community had also advised to toilet train your child as early as possible and to use cloth pants in the daytime. If that is too much of a hassle, consider using cheaper pants in the day and more quality ones at night so both the baby and you can rest better. This was the advice given by many of our community members. Babies fall sick all the time, especially in their first year. Hospitalisation expenses can go up into the thousands. Get your child a Children Hospitalisation Plan as early as possible so you do not end up incurring a huge cost. Consider looking for one that offers the reimbursement of expenses incurred by accompanying a parent. Do not invest in other insurance yet if you cannot afford the extra expenditure! Recommended Read: How Can You Fully Insure Your Child with Child Insurance? Knowing the support you are given well can help you pay off a lot of extra costs. “I recommend UOB for the Child Development Account (CDA) account. POSB and OCBC have a cap on the 2% interest i.e after a certain amount, the interest will no longer be at 2% but 0.05% instead. On top of the Baby Bonus Cash Gift that gives you $8000 for your first and second child and $10 000 for the third and subsequent child, sign up for the Child Development Account (CDA) which matches your savings dollar-for-dollar up to $6000 until he or she turns 12 years old. This includes higher interests and additional benefits. You can even use these funds for your child’s educational needs such as child care centres and pay for medical-related expenses. This includes things such as thermometers and vitamins from Guardian! Join Support Groups on Facebook! Hospital recommended immunisations are fully subsidised, free at all polyclinics for Singaporean children. Optional vaccines and medicine are also payable by your child’s Medisave, Baby Bonus cash gift or savings in the CDA. Visiting a paediatrician (PD) is more expensive so save on that by visiting the general practitioner (GP) instead! By managing your finances better and stricter! 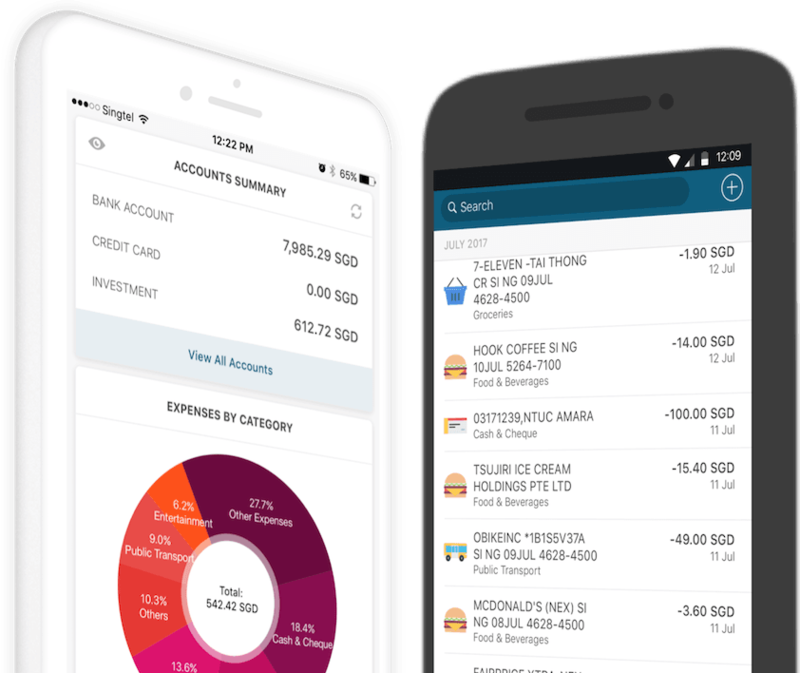 Track your spendings and savings manually or automatically using the Seedly app. There are many areas you can cut down on spending in your everyday life. This includes food, travel, electricity and so on. All you need is a little discipline! Put your money in bonds, investments and endowment plans which help encourage disciplined savings for the long run. That means they outgrow all the new clothes you were planning to get them in a jiffy. Getting old baby clothes from relatives and friends is a common thing to do and a great way to save money on new clothes. New and old baby cots, play tents, baby strollers and even new milk bottles can be found on Carousell at cheap prices. This can save you a lot of items that usually cost hundreds. The most cost-effective way to take care of your children is to arrange with your parents to look after them in the day while you’re at work. However, if that is not an option, PCF (PAP Community Foundation) or My First Skool costs $600++ every month for infant care services. Hiring a caretaker would also amount to similar or higher prices. If there’s one thing we have learnt from our Seedly community, it is to keep looking for discounts that can help you save. Promotions online, in shopping centres, bargains on Carousell, those are all tips that came from conscientious searching. “Do not make the perceived lack of money to be a problem. The solution is to focus on the parts of life that matter. Babies do not need much. They only need you. So even a clean old mattress from the storeroom or from friends will do. Place it on the floor for naps and for you to lie together. “Tuition” – talking and hugging and setting a schedule for feeding reduces stress and pain. I recommend putting the baby to bed by 8.30pm. You need time for yourself and hubby. This one is completely free!